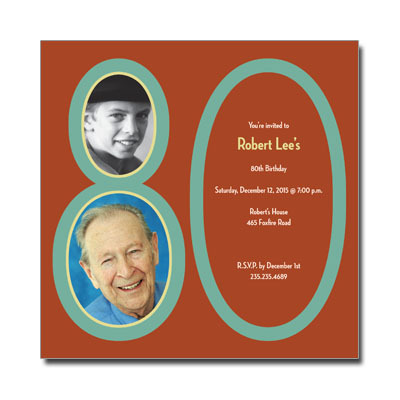 Printed in teal, pale green, and rust red, this milestone birthday invitation is simple and stylish. The number 80 acts as a clever frame in this design, with celebration details and places for two of your favorite photos within the numbers. Card measures 5.875 in. square. Additional postage required.